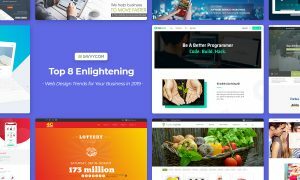 Even when you created excellent designs in 2012, this article might still be worth for you to read, as by the time you think you should change your style, the new trend is already there. To start with, let’s go quickly through the design trends for mobile apps and web apps in 2012. What made a great app? Usefulness, simplicity and aesthetics. Usefulness and simplicity are obvious requirements for a mobile app. So let’s talk a bit more about aesthetics, or design preference that set the trend. Firstly, design in 2012 was rich in texture and colors. Buttons and labels could make the app look so much better with different textures, for example wood, metal, paper and leather. Influenced by the style of Pinterest UI, images were put in front and center for color enhancement. Secondly, one of the most influential trends in 2012 was Skeuomorphic Design, thanks to Apple iOS apps. The apps were designed to have elements of them that look or behave like their real-world counter objects. For example, Newstand looks like a bookshelf filled with magazines. This style is great, yet requires a lot of time and efforts on every single details in the design. The trends in 2013 have changed quite significantly. A key reason is the variety of mobile devices, having flourished from the fierce competition of device manufacturers in 2012. Smartphones and tablets. iOS, Android, Blackberry and Windows platforms. Apple, Google, Samsung, Amazon and Microsoft. So now Skeuomorphic Design is no longer on people’s mouth, but rather Responsive Design and Flat Design. Responsive Design is the practice of designing a site to resize and adapt automatically to function well across multiple screen sizes. You can open a design on iPhone, iPad, or a Surface Tablet and it will work on every device essentially the same way, present the same information and be exactly appealing. It should not be confused with graphic design, but rather a combination of graphic design and web design. This style can work so well for web-based content. As per graphic design, you will still need 3 designs for web, tablet and mobile, but the launching efforts will be significantly cut down.